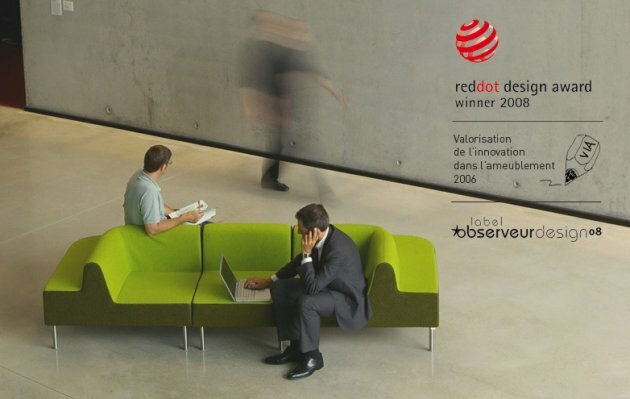 The modular Duo Sofa that designer Fred Rieffel created for the Mouchamps, France based furniture manufacturer ARFA, has won a 2008 Red Dot design award. 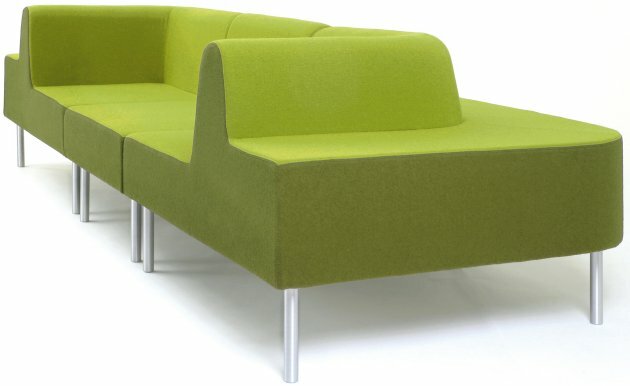 With its three elements and two different heights this sofa discerns itself from well-known shapes. 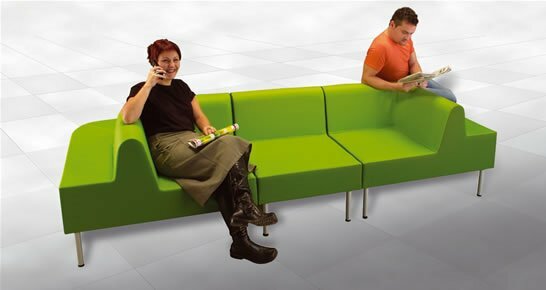 It has been conceived for waiting lounges offering a possibility to meet and talk. Everybody may sit down, be it for a short pause or for a long wait. 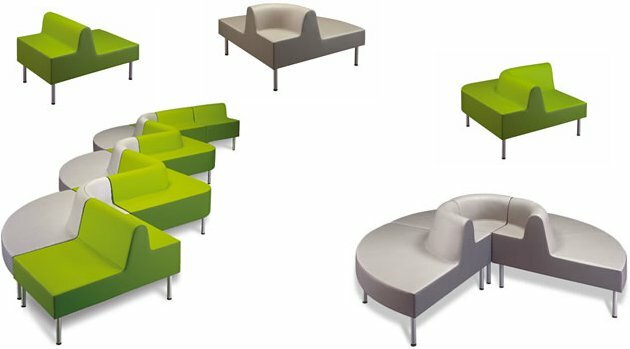 These modules offer a great variety of forms. A home version is also available. Visit ARFA’s website – here. Visit Fred Rieffel’s website – here.